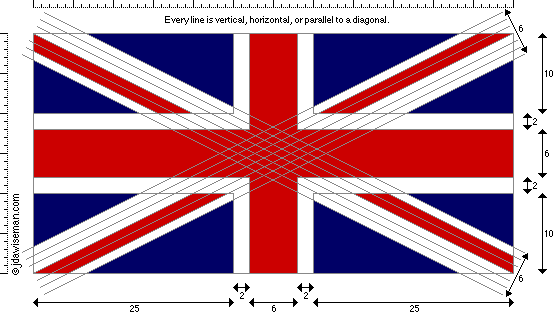 The flag of the United Kingdom, the Union Jack, is a superposition of the flags of Saint George (for England), Saint Andrew (for Scotland) and Saint Patrick (for Ireland). This superposition is quite intricate, and often drawn incorrectly. J. D. A. Wiseman shows how it is done. This analysis highlights the difference between good intentions and good actions. Oxfam's latest campaign, "Grow", seems so lovely and cuddly that to criticise it is almost like torturing puppies. What could be wrong with trying to feed the hungry and thus make the world a better place? Alas, if wishes were kings we could all be monarchs for the day and what's wrong with the campaign is not the initial wish but the list of damn fool things it intends to do.